Explore the high mountain ranges and bamboo forests with this happy little panda bear family. The mother and two adorable babies each feature an articulated neck to find their favorite bamboo snacks. One baby panda is in the sitting position, with the other on all four paws ready to pounce and play with their sibling. 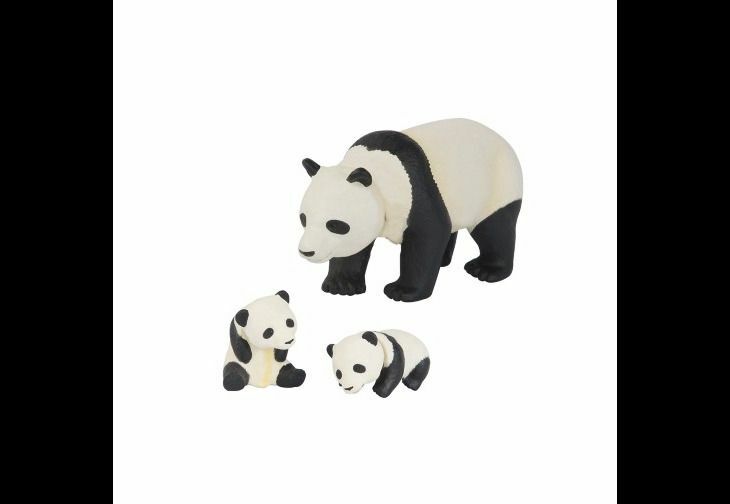 Each figure is very detailed; from the black and white signature panda markings to their textured fur-like bodies.